There are plenty of guides out there telling you how to Leave No Trace in the outdoors. 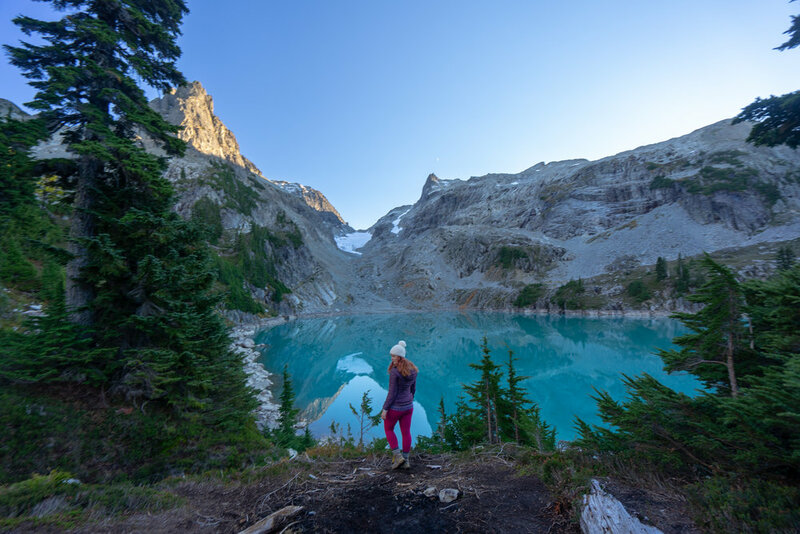 My good friend Sarina wrote a great one, and Leave No Trace is a helpful place to visit to get answers on how to be a better steward of public lands. But not much has been written on what to do once all of our photos make it onto social media. After a few missteps on Instagram I have jokingly assumed the nickname: “Mountain Bully,” but truthfully, I don’t want to be a bully or be seen as someone that needlessly causes internet drama. I am passionate about protecting public lands. Especially from those that seem hell-bent on ignoring rules in hopes of Instagram fame. But NO ONE deserves to be harassed or bullied online. So how do we stand up for what we believe in without resorting to cyber-bullying? How do we adventure and post content on social media in a responsible way? What do you do when you mess up and it seems like the entire internet is against you? I have some thoughts. Photos for social media aren’t worth destroying public lands. Take an honest look at your photo from the eyes of an outsider. Would your photo send the wrong message to someone who is a beginner in outdoor recreation? Is your photo promoting illegal or unethical behavior? Does it look like you are promoting unethical behavior (even if you aren’t)? If yes, maybe reconsider posting, or use your caption to call out the special circumstances in that photo. When I posted this photo I realized it looked like I was standing in the middle of a fragile alpine meadow, even though I am standing on the trail. I added a note in my caption to call this out. Geotagging is a hot topic in the outdoors. Some refuse to geotag or share locations at all, others say this is gate-keeping. I find myself somewhere in the middle. My personal approach is to tag the general location and let people that inquire over direct message know the exact location of the hike. That way I can share all the relevant info and anything special that needs to be considered when visiting that area. My goal with Instagram is to create community and blasting info out without talking to anyone or refusing to share doesn’t feel like creating a community to me. Leave No Trace recently came out with an official stance on geotagging that urges everyone to consider the impact their geotag could have. I get it, when you see someone violating LNT seemingly for IG likes and notoriety the anger can be blinding. Take it from me, someone who has been ruled by anger a few too many times in this scenario, give yourself a moment to calm down and try and look at it from the perspective that they didn’t know better. Try to give them the benefit of the doubt. Things tend to go a little better that way. 1.) Screenshot the image in question. Don’t assume intent or knowledge in your message, even if you know without a doubt they know better. It never goes well. 3.) If it’s been over a day and you haven’t gotten a response, bring your respectful message into the comments of their post. An example of a respectful comment I left on an illegal drone photo. If your comment is deleted or you get blocked, this is when you need to make the choice to either escalate or step away. I have chosen both of these options. There is no shame in walking away. 4.) If you choose to escalate, this is why taking a screenshot was step one. You can post that in your story and respectfully point out what is wrong in the photo. This is an opportunity for everyone to learn more, not just the person who posted the photo. When you choose this step, remember that you have no control over what happens next. Bullying is real and someone who sees your story can choose to bully the person you are calling out. I do my best to be respectful and ask others to be respectful. 5.) If you don’t want to publicly bring attention to yourself, you can send your screenshot to a vocal account like @unethicaloutdoors or @youdidnotsleepthere. Don’t expect them to do the work for you, but they might choose to use their platform to bring attention to the problem. 6.) Another great option is to message the sponsors of larger accounts. People are posting this content because IT WORKS. These photos blow up on Instagram. They gain influencers more paid work and notoriety. As consumers of the products influencers are advertising, it’s up to us to let companies know we don’t support this content, and we will take our money elsewhere if we see it continue. I want everyone to be able to experience these beautiful places responsibly. You’ve posted something, and now the comments and messages are flooding in, pointing out your wrong-doing. It feels like the entire internet is against you or wants to watch you fail. As one of the people that leaves call-out comments, I don’t think that is true. Everyone makes mistakes, and most people are not expecting perfection. What everyone does seem to expect is an attempt to make things right, not a rinse-and-repeat PRopolgy. If you are being called out, remember one simple thing, the internet never forgets. If you posted a photo or video and people respectfully call out something you did wrong, I urge you not to delete RESPECTFUL comments or block these people. You are obviously perfectly within your rights to do so, but it sends the message that you are trying to cover something up or that you don’t care. This tends to make the whole thing blow up way more than it ever needed to. My advice? Take a step back and research what everyone is angry with you about. Figure out how your content may or may not be harmful. After you have done that, go back to your post and update your caption with your true thoughts on the matter and an apology if you feel you owe one. Consider a story doing the same. It’s well known that people on social media value authenticity. If your apology feels forced, it’s likely it won’t do you much good. Take this moment to educate yourself and your followers on how to do better. I have seen many influencers do this successfully and it’s a great way to flip the narrative. It’s possible to be vocal about public lands without cyber-bullying, and it’s possible to fix a mistake when you make one. My hope is that we all continue to grow and use social media for good. If your Instagram following disappeared tomorrow, would you be proud of the content you posted there? It’s easy to get lost in the chase of a successful photo, but don’t lose sight of yourself or your values in order to grow a following. Disagree with me? Think there is something I missed? I’d love to hear your thoughts on this subject in the comments!